Want to sleep in style? Try the Dark Canyon from Alps Outdoorz and you're sure to have enviers. The polyester outer fabric is eye-catching and will be a hit on all your hunting and camping trips. The liner is a soft MicroFiber that will remind you of sleeping at home. The Dark Canyon uses a 2-layer construction that will help eliminate cold spots. Want to sleep in style? Try the Dark Canyon from Alps Outdoorz and you&apos;re sure to have enviers. 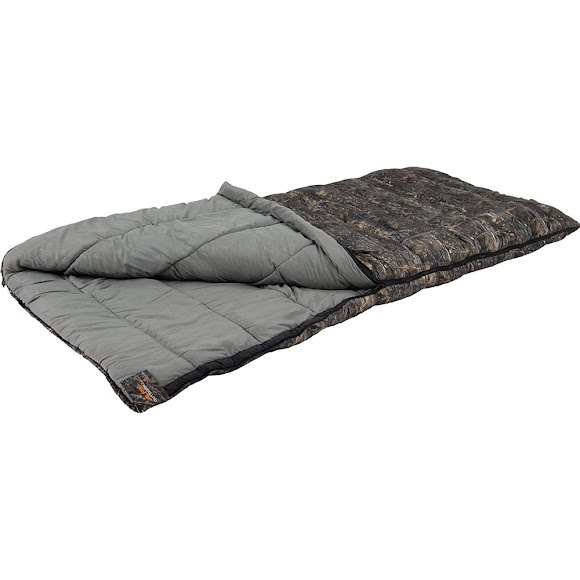 The polyester outer fabric is eye-catching and will be a hit on all your hunting and camping trips. The liner is a soft MicroFiber that will remind you of sleeping at home. The Dark Canyon uses a 2-layer construction that will help eliminate cold spots. There is an included stuff sack so transporting is easy.